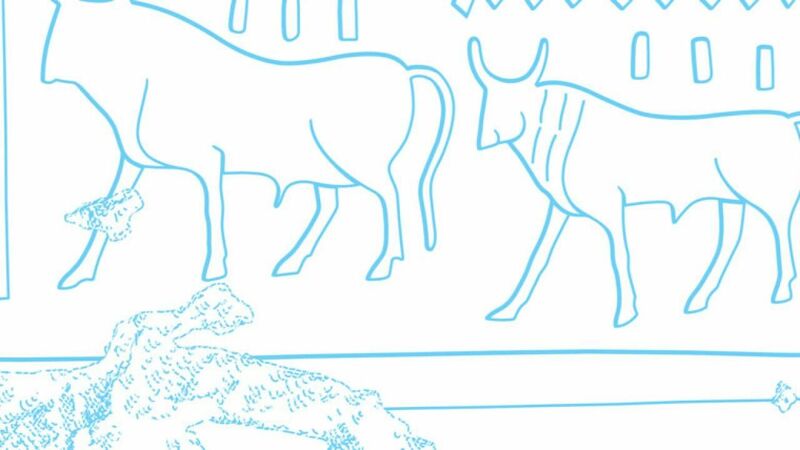 The article below differs somewhat from our usual Reading entries in that we are not presenting the conventional (digital) epigraphic method of one of the missions documenting ancient Egyptian monuments. 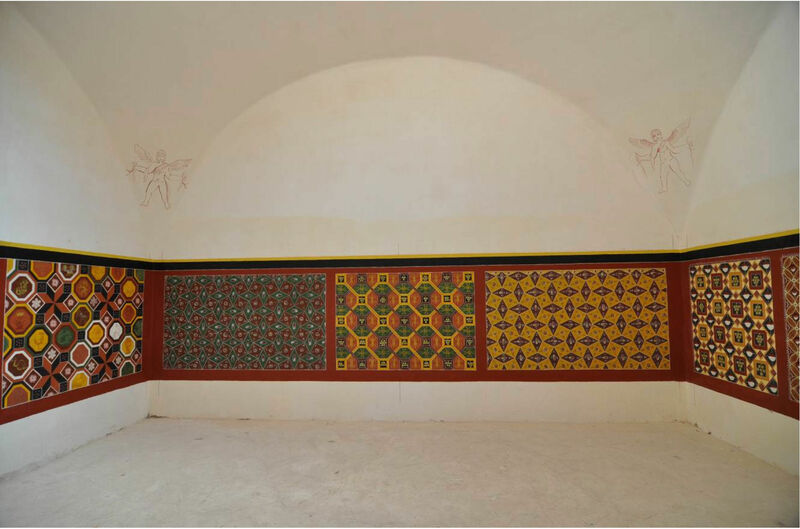 Instead, we decided to show the unusual epigraphic effort that resulted in the reconstruction of the painted decoration of a now reburied fourth century villa at Amheida, in the Dakhleh Oasis. 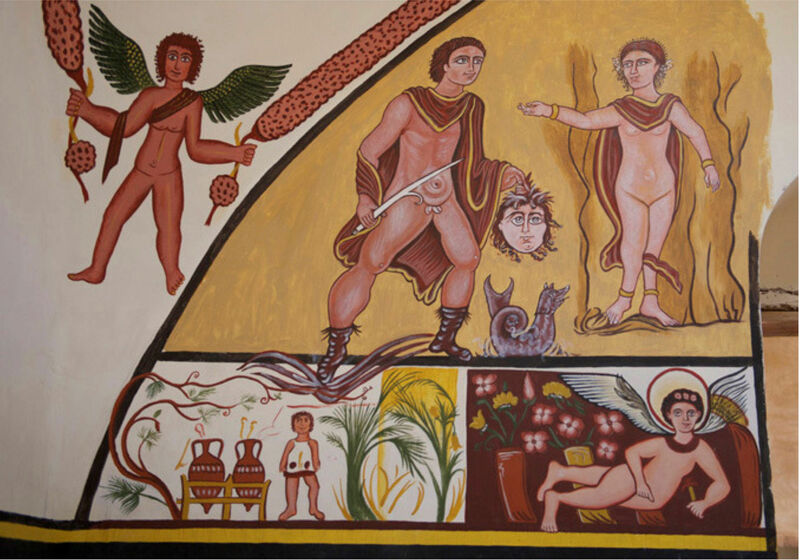 Reconstructed scenes in the Villa of Serenus at Amheida in its north-west corner. Photograph by Christopher Kleihege. 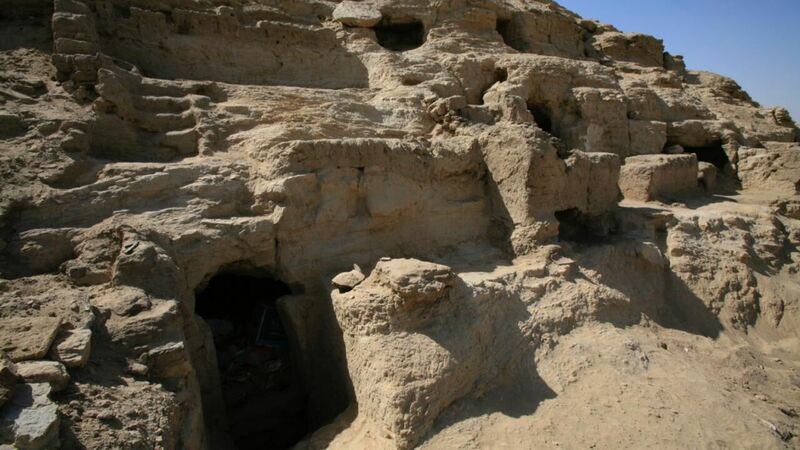 In 1979, while surveying the late antique city of Amheida, a team of the Dakhleh Oasis Project discovered the upper part of lavishly decorated walls of what turned out to be a fourth century ‘villa’ occupied by a family of high social status. The main building, including the decorated rooms, was subsequently excavated in 2004 and 2007 by a team from Columbia University, directed by Roger S. Bagnall (it is now a project of New York University). As both the paintings in situ and the collected fragments were extremely fragile, the team decided to refill the building with sand – after extensive documentation – and build a full-size reconstruction of the main house, including its painted decoration. 1. Tamer applying gesso to the plaster. 2. Setting up the grid with a chalk line - a piece of string, dripped in red colour. It has to be ‘fixed’ on two points, then let it snap. The result will be a red line. 3. 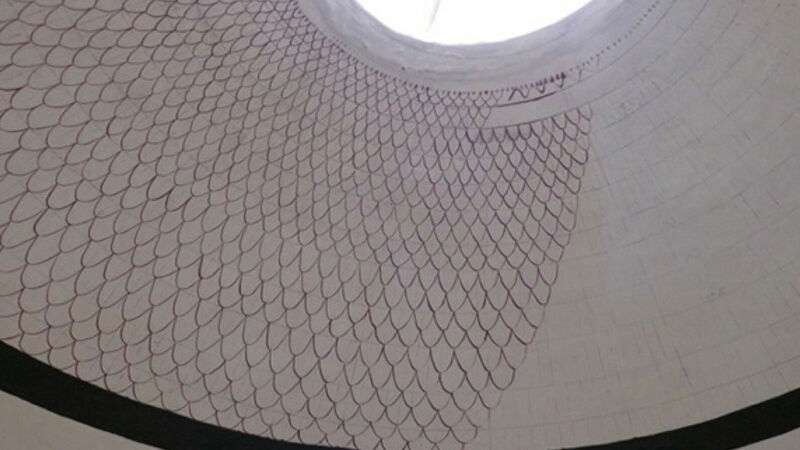 The grid for the feather pattern with sketched feathers. 5. Tamer painting the first layer of colours for the 'coffering'. 6. ...while Dorothea is finishing the feathers... in the meantime the 'coffering' is taking shape as well. 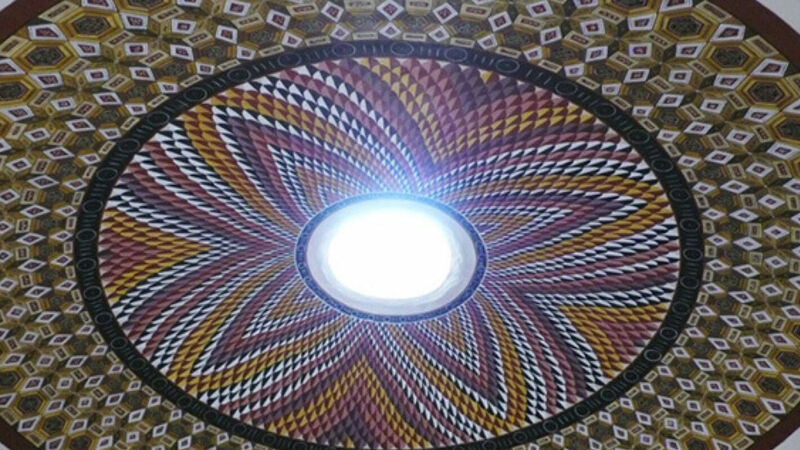 “The dome is divided into two areas, the upper ‘inner’ circle, which is decorated with a lively feather pattern and the lower ‘outer’ circle, which is decorated with an intricate geometrical pattern. This pattern, the so-called ‘coffering’, is constructed with lozenge-stars, hexagons and squares. The hexagons were decorated with floral motives in the centre, apparently in two different colour settings (of both there survived sufficient fragments to reconstruct them). Some of the ‘diamonds’ appear to be decorated as well… and one fragment clearly shows grapes. The rectangles seem to have had a variety of decoration but they are far too fragmentary and too faded to make a faithful copy. Leaving them empty was not an option; thus most of the decoration in the reconstruction is based on motives from the geometrical patterns in the ‘wallpapers’. 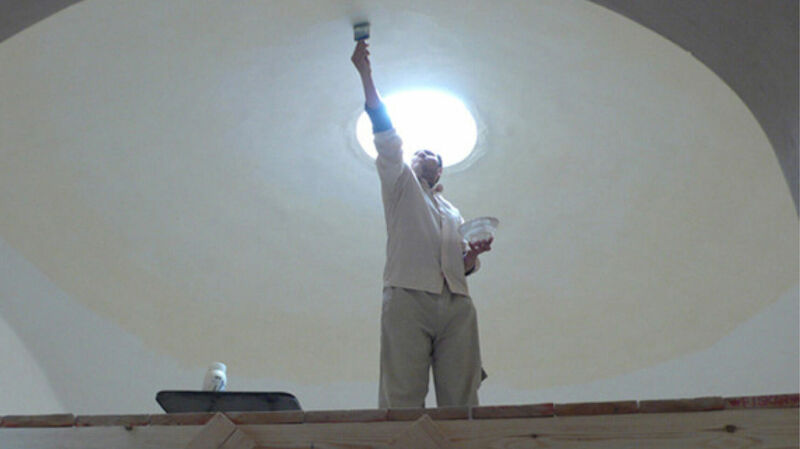 Since the plaster of the dome was pretty rough, the painters had to start with smoothing the surface with sandpaper. The next step to prepare the plaster was applying a layer of gesso. 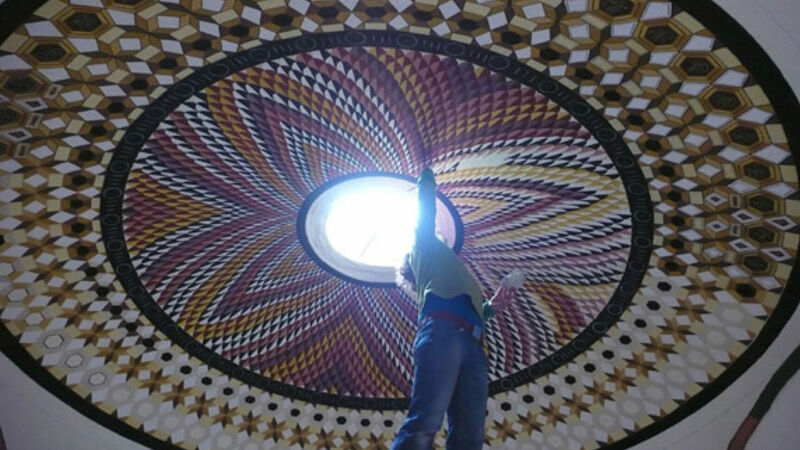 Then Tamer and Dorothea could set up the grid, starting with dividing the dome into circles. To their utter delight the ‘chalk line’ method even works on a slightly curved surface. 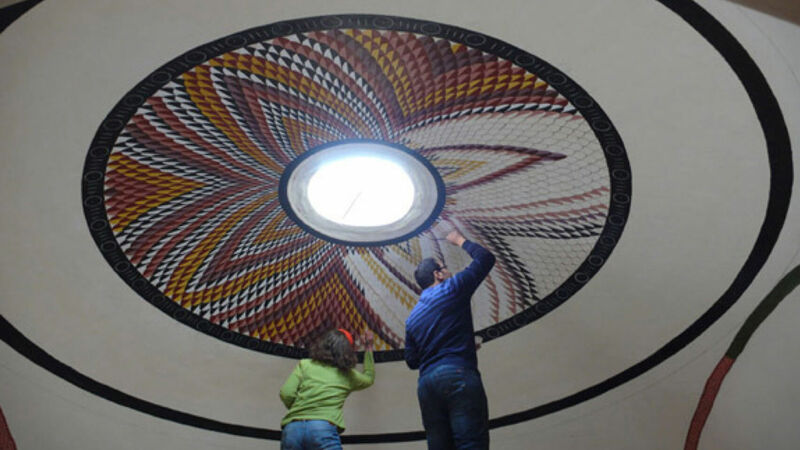 The next step in decorating the dome was actually adding some colours, starting with the feather pattern. It turned out that the best way to paint the feathers was the original way: starting with the lighter colour and then adding the dark side of the feather. On the original fragments it can be clearly observed that the darker colours are lying on top of the lighter colours. While still working on the feathers the painters already made a grid for the ‘coffering’ pattern, constructed the elements (hexagons, lozenges, et cetera) and started filling in the colours. One of the great aspects of reconstructing the decoration right through all the phases is, that it helps to understand the structure of these intricate patterns. 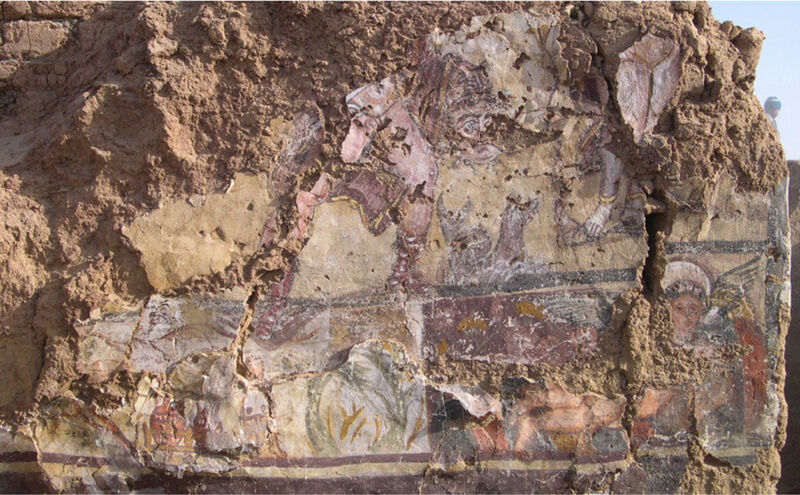 “As tested in previous seasons, the best and most reliable way to transfer the scenes to the walls of the reconstructed Villa was to project the original photographs onto the wall with a projector. The reference documentation (high resolution photographs) for the reconstruction was stored on an iPad Air with retina display. 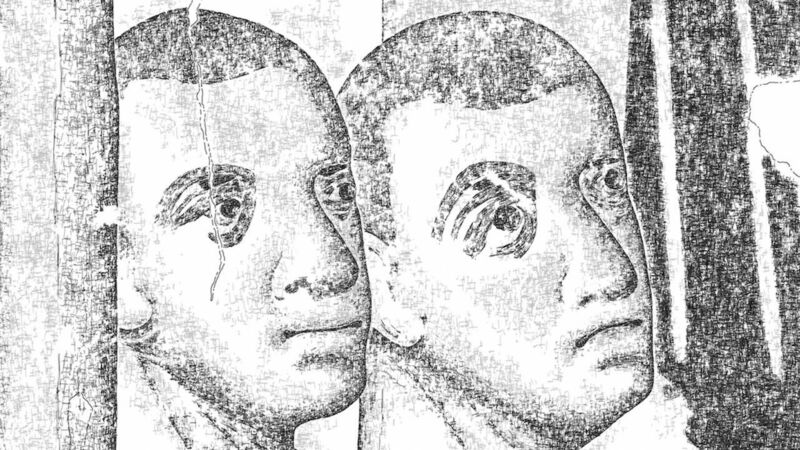 “Since the tracings with pencil were quite faint and would have become invisible after only one layer of paint, the next step was to paint the sketches in red. Similar red sketches might have been the first step of the original paintings, since I noticed underlying red lines on more than one figure… After all the sketches were bright and red on the walls I could start to apply the colours. A short note on the colours: the paintings in the original villa might be faded, and some pigments even might have lost their original hue altogether. Green for instance has a habit of changing into a greyish tint. Since it would make little sense to me to reconstruct these magnificent paintings to their former glory using the faded shades, I had to reconstruct the colours as well. The yellow and red ochres (including shades of pink) proved to be quite stable, and I could recreate them by comparing my acrylic colours to original fragments from the figurative scenes. The green I used is mostly based on the still quite green wings of the Putti, which are in fragments stored at the dighouse. The palette of colours used is not that extensive but was extremely well used by the skilful painters of the original Villa. Fig. 15. 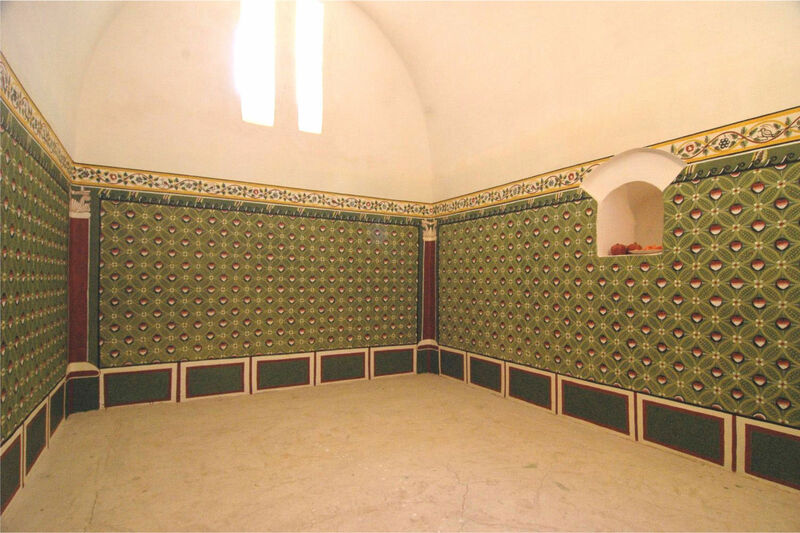 Green room in the villa reconstruction. 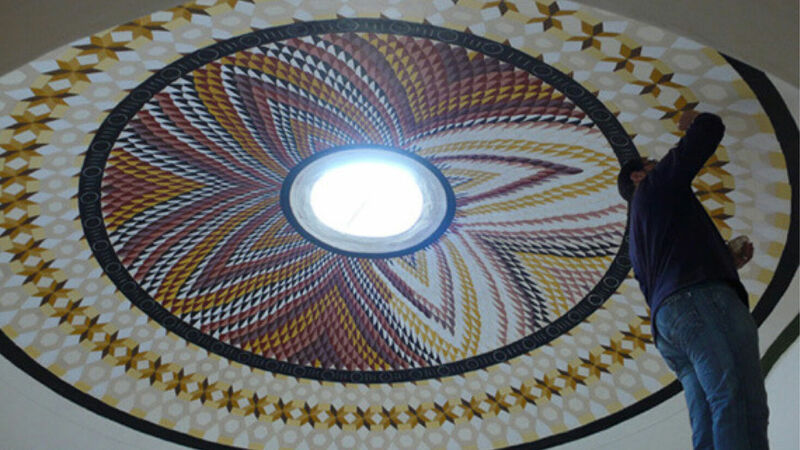 Replica of Serenos’ house, geometric patterns in the domed room. Polis and Poseidon already as red sketch, the other gods still drawn in pencil only. 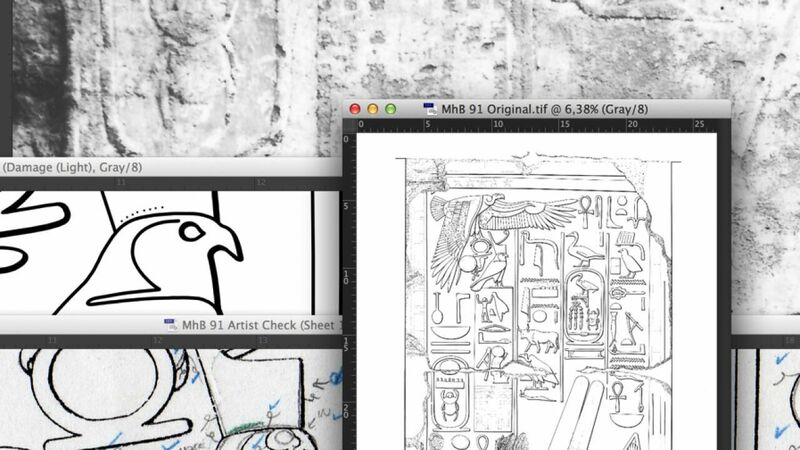 The finishing touch to the completed copy and reconstruction of the figurative scenes on the east wall. Photograph by Christopher Kleihege. 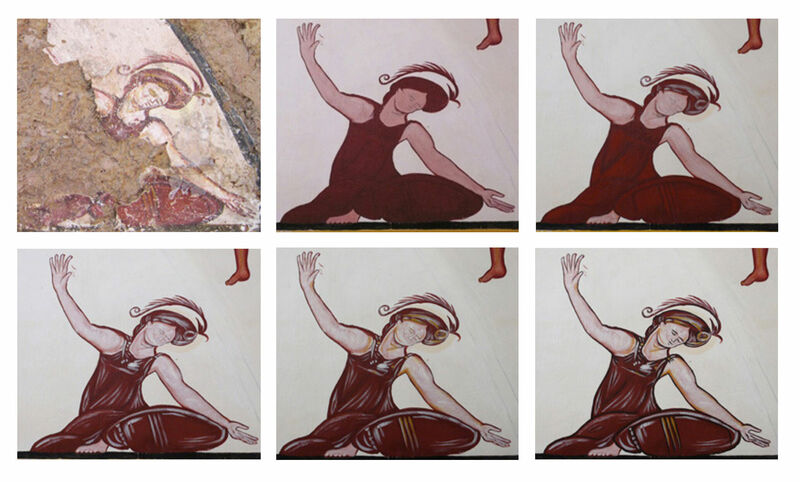 The different layers and stages of the graceful figure in the south west corner. The western part of the north wall in 2004. Perseus, the seamonster, Andromeda and the additional scenes. 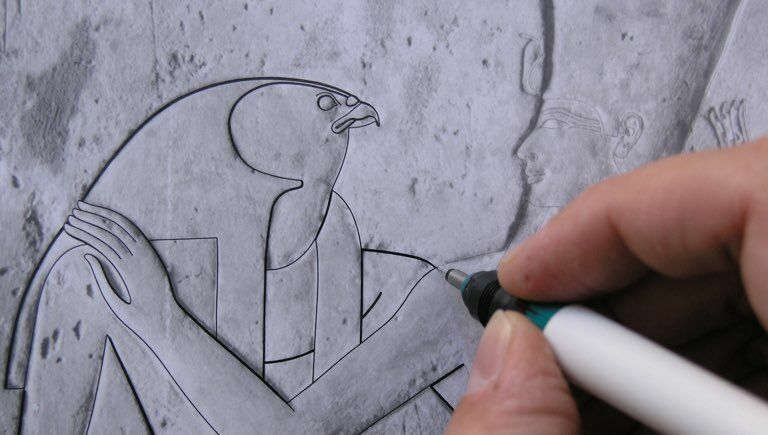 The reconstruction technique and the tools used – following an extensive research made on the fourth century remains - were based on the methods applied by the original artists. 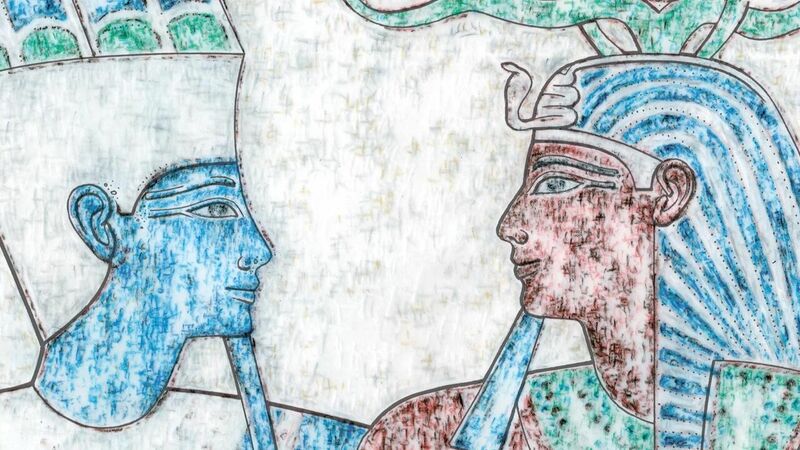 Although the colors appear much more vivid in comparison with their ancient counterpart (due to the use of acrylics), the reconstructed imagery provides a striking stylistic resemblance to the original. Wherever it was possible each scene was restored to its original appearance, eliminating gaps, cracks, shifted wall segments were moved back to their original position etc. 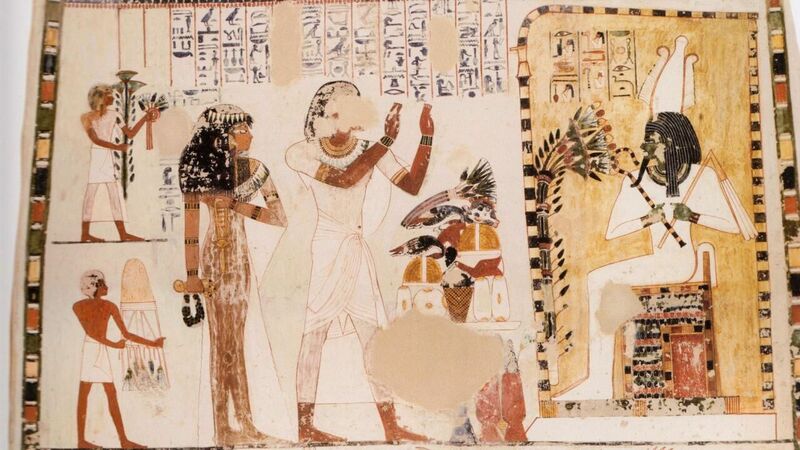 The result provides a glimpse into the wall scenes as they might have appeared in ancient times. 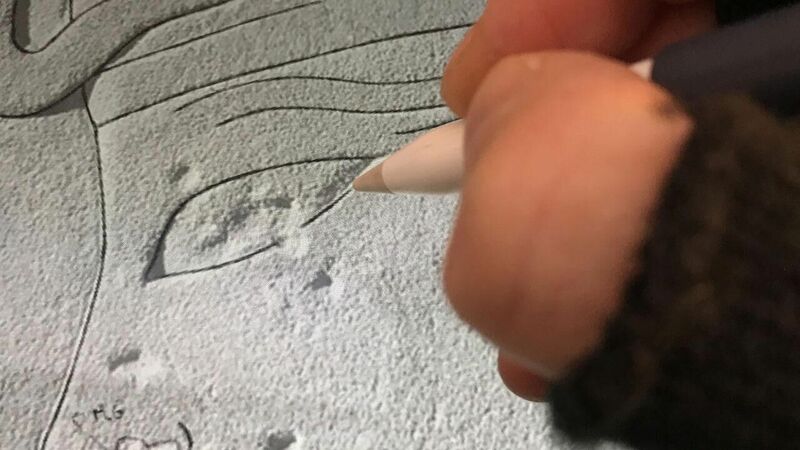 Although modern devices, such as a projector and an iPad provided tremendous help when setting up the pencil background used as the base for reconstruction, the painting process was carried out freehand, layer by layer, following the ancient artist’s footsteps. 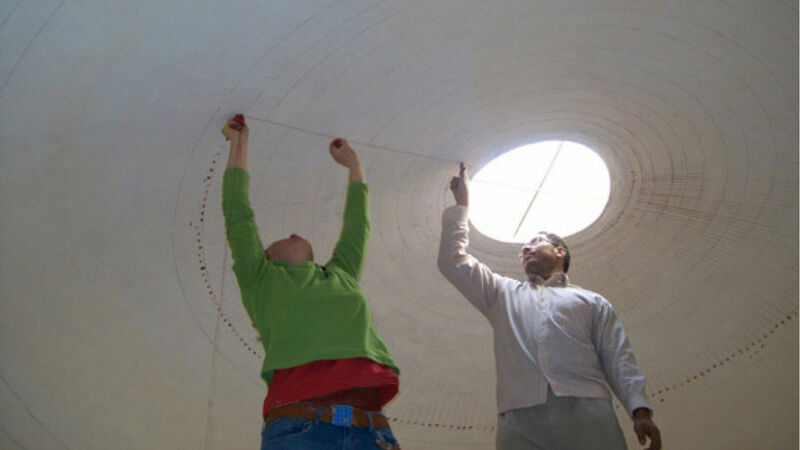 The conservation and documentation of the tomb chapel of Menna (TT 69) at Luxor was implemented between 2007 and 2009, under the direction of Melinda Hartwig of Georgia State University.